BROFESSIONAL: A backpack-ready, mITX, SFF, <8L LAN gaming build. Diablo 2. Guild Wars. StarCraft. Team Fortress. Quake 3 Arena. Entire weekends used to be lost to the standard bearers of the LAN party era; games that supported local network play while still allowing for Internet-based carnage. It's an era that I dearly miss, along with the friends who made up the weekly competition. Sort of like TV moving from 3 channels eventually to cable, the industry evolving to today's anything-goes Steam model with its thousands of mobile ports inevitably leaves us with fewer shared experiences. We might meet someone through a favorite indie, or the rare AAA game with dedicated servers where the same people can congregate, but that community experience is largely gone and forgotten when playing online. While Internet speeds and platforms like Discord have enabled us to feel closer while playing online, small form factor (SFF) gaming has also re-kindled the ability to actually drive out and visit friends, and slimming my LAN profile has been in my interest for years. That said, I realized quickly after my DADBOD VR build project that I had more of a server than a desktop, and trucking it to LANs was uncomfortable at best. Thus began a months-long effort, spurred on by a friend who converted to a Node 202 SFF build, for me to find the perfect SFF LAN case for travel, form and function. Fit as many full-size parts as possible, such as a full-length GPU, to allow hand-me-downs from the larger build. Research quickly took me down 2 paths, the 'console' form cases, and the 'shoebox' forms. Beautiful as they are, I had to quickly throw the shoebox Dan A4 and NCASE M1 cases out for backpack fit concerns. That left the console style - namely the Node 202, Dr. Zaber Sentry, Skyreach 4 Mini, and Cryorig Taku (which turned out to be far too big). One thing stuck out, though. Why was the Taku the only case with symmetrical venting? Why was the biggest case the only one that could go horizontal? Why couldn't any of these designs handle horizontal OR vertical orientation without heating concerns? Salvo makes some ridiculously well-considered, well-thought-out cases, and I'll admit some hipster pride in being one of the relative few who could obtain the original S400. It's aluminum, built with a clamshell design, and has a few clever metal adapter pieces that allow you to secure the SFX-L PSU and full size GPU with screws to the underside of the case. Once the clamshell comes off, just 8 screws, you have full access to everything. Even better, I was able to take most parts from an aborted mid-range mATX LAN build and bring them down into this build. You'll see a size comparison with the ubiquitous NXZT S340 in the photos. Not easy to maneuver and not light, like this case! I also compared it to a Taku, for science, and the Taku is simply too big for travel as well. SFF is worth it, especially as a second PC, or as a laptop alternative. I can't recommend enough buying a quality bespoke case and moving all your parts laying around into one. All thanks absolutely and without hesitation go to Brian Anttila of Salvo Studios, who is one of the most active, magnanimous and inventive types you'll find on smallformfactor.net. Not only that, his recent purchase of a laser cutter and allowing me to hound him for a fresh panel is what really helped me feel the build was 'complete', and ready for posting on PCPP after a year of futzing with it. Guys like Brian helped me extensively through getting used to thinking and building in SFF size, and I'm addicted to the challenge, now! Give Salvo your support if you're thinking SFF, and do your research on SFF.net and /r/sffpc if you'd like to pursue a small build. Thanks! That cardboard build is awesome. That is awesome! Curious as to what your temperatures are like on idle/load! Thank you! Idle temps on CPU and GPU are 30-35C idle, and 48-52C under load. Damn that this build is stellar. I think my idea of hell is building inside a super small ITX case, the cables would be too much for my mortal soul. Kudos to you! Thank you! Love your cube build. Absolutely awesome, I was so close to buying a Sentry at one point but I didn't pull the trigger. The S401 looks like it could breath really well and keep thermals down and its reasonably priced. Thank you! Sick Shift build, by the way! Very impressive. I just finished a node 304 build and I struggled to make everything fit nice and tidy. Kudos and take your vote, you've definitely earned it with this build. Ping me when you post your new build; I'm not highly familiar with Node's lineup and enjoy seeing their stuff in the wild! Thank you! Love the red theme on your build! Working on my CustomMOD mini right now. That salvo is an epic case! Agreed! And, to me, it doesn't make sense jumping at the first case or complaining about case pricing. When you buy the right one it's the component that's going to last the longest, well beyond your CPU, GPU or anything else! How do you like your Spire? Love portable builds! This one's fantastic,. Thank you! High praise coming from someone with your build history. How do you like your M1? Also, what's your favorite keyboard? Love the M1. Got the duffel bag for it. Not as portable as your, but it works! My favorite keyboard is definitely my Optimus Maximus. It'll be a while! My larger ATX build takes priority, and I plan on handing down most parts (that will fit) to the smaller LAN build. Actually considering going Ryzen for the next upgrade... Getting tired of how quickly Intel motherboards fall out of support and can't handle the newer CPUs these past few years. Man, I am very, very impressed!!!! So, long story short, a lot of my friends plays Fortnite. On the weekends from Friday to Sunday, sometimes Friday to Monday afternoon, they would all bring their PS4's and PC's over to the same condo every weekend and, they would LAN until sunrise on Fortnite. At one point, they had 7 people all in one condo, playing Fortnite. They are all in their late 20's and tired of the partying scene so, this is what they do. Do it! The H200i is a great starter ITX case, but the parts you have to buy to fit that case will all or mostly all fit in any of the even-smaller cases I linked, and the H200i definitely isn't going to fit into a backpack or maybe not even a duffel. EDIT: To be clear, the H200i is a beautiful case, and certainly a nice one to pick, but I dunno... I would pick something else. I consider it a 'starter' case because you're spending the premium for ITX parts and an ITX case, but then you're not actually going through the exercise of shrinking your case to the point where it's truly travel-ready. Then again, I'm sure you save both space and frustration working in an H200i - there's probably not a single component that won't fit in that case, which becomes a bigger consideration the smaller you go. help! how do I save this to my account? I'm right there with you. I went to my first LAN Party in 1999. Very grateful that my hometown still hosts them Bi-annually and still got the same group of guys that goes to them almost 20 year later. Come to Lanwar in Louisville KY if you around the midwest. Its normally a 300+ turn out for a weekend. Thank you! A bit far, but very tempting to hear that large LANs are still around. They've mostly fallen out of my region at this point. Lanwar.com - They are revamping the website but its a great party. People from around the world have been to it. It used to be bigger in the early 2000's (go figure) but they still pack the house. I like ITX form too, yours is gorgeous! i couldnt find a decent case for itx, low profile gpu and ''picopsu''... I'm try to draw it and 3dprint. Your build inspire me! keep it up! Thank you! If you're thinking of going pico PSU size, you ever check out anything from GEEEK, or some of the bespoke cases on smallformfactor.net? could you please share temps? 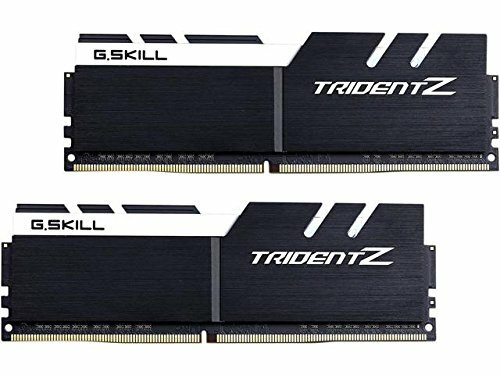 If i wanted to make a build like yours, which cpu and cooler would you recommend if value wasn' t an issue and i need to start from 0, being this my first build? would a 1080i blower fit there? First build? You're aiming high! I like it. Idle temps on CPU and GPU are 30-35C idle, and 48-52C under load. I'm not super crazy into every last detail and usually get lazy around cabling and cooling, but I'm (very) happy with this build overall. For builds this small you have a limited number of options for cooling available; the follow-up S401 case thread has information on limits, and other small console-style cases like the Node 202 and S4 Mini have similar limitations. I believe I've seen 1080Ti's in the S401 thread, especially now that the first batch arrived and folks are building in them. Overall, I would highly recommend the recommended components spreadsheet from reddit.com/r/sffpc in terms of checking out case options and recommended/compatible parts! THAT'S SICK DUDE !!! I love mini ITX builds but this is a whole new level. I hope it will serve you well. Thanks, man! Put up an ITX build of yours on the site, I'd like to see it! I got none... Choice here is so pathetic that i quited on that. Smallest thing i have built is Thermaltake core build. I love that case! 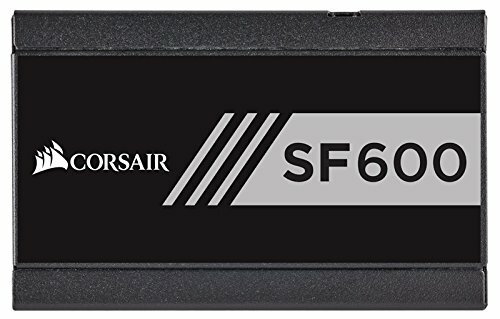 Is there space in there for an SSD or is it m.2 drives only? You can fit 2 2.5" drives beneath the GPU apparently. Not sure what that does for airflow/temps. The revision S401 case that's out now can still do 4 2.5" SSDs or combinations involving 3.5" HDDs, but they're also selling a drive stacker so if you go with a mini GPU you can fit more in there. Thanks, man! Can't wait to see your build! Totally just noticed title is "Brofessional." That's awesome, bro. Holy **** this looks amazing, if I had some spare cash this would be in my backpack. Out of interest, how do you have enough friends with SFF pcs to hold a LAN party? Generally I just book out a ‘PCBang’ (I believe that is what Koreans call it) (there is one near where I live in the UK) and play some TF. I’ve encouraged my mates to get into the game and provide me with some serious competition. Hey, sorry, I never saw this notification! A lot of folks around here will simply carry their full cases to go to a LAN party, but once you go to small form factor... It's hard to go back! HOW!?! JU JU JUST HOW!?! AGAIN! HOW!?! HOW HOW HOW!?! I WANNA HAVE THIS IN MY LIFE, AND THEN EAT IT!!! IT LOOKS SO TASTY I WANNA EAT IT!!!!!! Sorry, I will shut myself up now.